As of today, there are hundreds of Forex brokers around the world claiming to be the best among the rest. But we all know that only a few of them are really good Forex brokers. Some will even tell you how they helped their clients make millions of dollars within a week. Some online Forex brokers will even inform you that they are regulated by the EU and other spurious agencies that do not exist. The most annoying lie is that they do not charge commissions. If they don’t charge commission, then how do they make their money? Perhaps by lying to you about the real price of the currency, a practice that is immoral and evil. To avoid such bogus Forex brokers, you really need to make sure due diligence is practiced. And we believe you are on the right track of choosing the right Forex broker with the following tips. 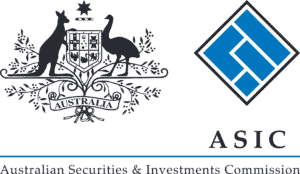 Are they registered by FCA, NFA, CFTC, CySec, ASIC or any reputable regulatory body? Do they have good or bad reviews? These are some of the questions you need to ask yourself before choosing any Forex broker. Of course, some of them will prevaricate about their reputation. But you can confirm their claims by doing your research on the Internet or by contacting their previous or existing clients. You would also be better off if you use our platform to check their reputation. At Forex Rank, we help you to find the most reputable forex brokers that can meet your needs. We also show you the rankings of each Forex broker so that you can make the right decision. 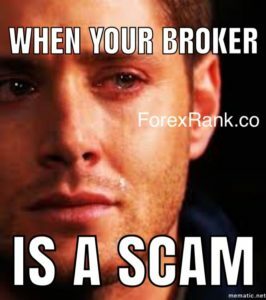 All listed forex brokers on forex ranks website have been “reputation verified”. We have researched every broker to make sure they meet our standards and feel confident providing this to you, the trader. After you’ve confirmed the reputation of your potential Forex broker, the next thing you should consider is whether you have the leverage to terminate your Forex account and withdraw your funds anytime you are not pleased with the services offered. This right should not be negotiable. You should also confirm that you can deposit money with your Forex broker with ease. In sum, make sure that all these criteria are clearly specified in the terms and conditions of working with your potential Forex broker. In simple terms, the spread is a difference between the price of buying a currency (ask price) and the price of selling a currency (bid price). It is the gain which your Forex broker helps you to make by selling a particular currency. In return, your Forex broker charges you for maximizing your spread, which is not fixed most times due to market changes. So, make sure you compare the commission of each Forex broker before you make your final decision. We have seen situations where Forex brokers would lie about the spread in order to maximize their own profit. Thus, you need to be very vigilant about pricing. Another option you have is to use Forex Rank to select the best Forex broker who will not try to manipulate the spread. A margin is a short-term loan you borrow money from your Forex broker at a fixed interest rate so that you can increase your investment return. Before setting up a margin account with your potential Forex broker, ask him or her about the margin percentage, which is usually 1% or 2%. The lower the margin percentage, the lower the amount you will deposit with your Forex broker. For instance, if you want to trade $1,000,000, a 1% margin percentage means that you will deposit $10, 000 and a 2% means you will deposit $20,000. So, the more funds you deposit into your margin account, the more the risk you are taking. For instance, a 2% margin requirement represents a leverage of 50:1 while 0.50% represents a leverage of 200:1. A trading platform is the software application where all trades are performed. Some Forex brokers have devised disingenuous ways of manipulating their trading platform to their advantage. Hence, your priority should be finding an online forex trading platform that is reliable and has the greatest automation. One of the best and most popular platforms is metatrader 4. It features many built in trading and charting tools and also have a well made mobile app to trade on the go on your mobile device. Eg) Iphone Samsung’s, tablets etc. There are more than 100 currencies in the world, but only a few of them are relevant in the Forex market. This includes the U.S dollar/Swiss franc (USD/CHF), the Euro/U.S. dollar (EUR/USD), U.S. dollar/Japanese (USD/JPY), and the British pound/U.S. dollar (GPD/USD) “the majors”. 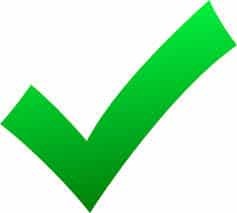 Regardless, you should confirm whether your Forex broker offers the selected Forex pairs you prefer before investing your funds. All of our brokers listed have a wide range of markets to trade including currencies (Forex), cryptocurrencies(Bitcoin etc), futures,cfd’s, precious metals and stock indices. Take a look at our forex broker review page for more info Here. This should be your most important criteria for choosing the right Forex broker. You don’t want a situation where you want to buy or sell a particular currency and you can’t reach your Forex broker on time or need some important account changes handled. A good Forex broker should be able to provide you 24/5 customer support as well as respond to your complaints and educate you about how you can minimize losses. Offering a live chat to chat to clients is always a bonus. Forex rank has tested all brokers for customer service satisfaction. There is nothing more fulfilling than choosing the right Forex broker. You will have peace of mind and have more time to do other important things (like trading!). At Forex Rank, we take pride in helping you find the best Forex brokers from around the world. Just give us a try and you will be glad you did! You can check our Forex Broker Reviews so that you can feel confident that your money is in safe hands.